When can i expect this phone in India. Also if its released under what version it is. Please help me in buying this phone. Thanks in advance. 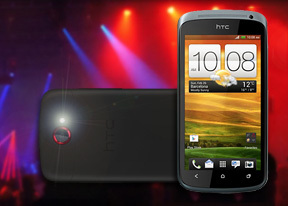 kajal, 23 Aug 2012hi sir in which market htc one s with s4 is available??? If you want the S4 version get HTC One S from other than Asian market. 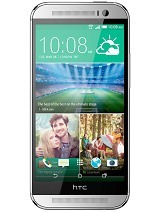 kajal, 23 Aug 2012hi sir in which market htc one s with s4 is available??? S3 version is for Asian,where as globally its S4 version. Mike, 23 Aug 2012How to check in the phone whether it got S3 or S4 processor? I'm in Singapore and from my loc... moreDownload a benchmark software and see info. S4 comes with adreno 225. s3 version has 1.7 ghz not 1512 mhz, and is available only with adreno 220. 2. Small spot on the display, small as half a fingernail. First i thought it is sebuum but it's not. I think that some part of layers that compose the screen are not well glued or put together. Or the laminated sheet. This aren't big defects but why does it happens to a new htc, even it is the medium range phone?! If any of you are familiar with this issues please sent a reply. Hassan, 22 Aug 2012rarely S4 mostly S3 SoC.How to check in the phone whether it got S3 or S4 processor? I'm in Singapore and from my local vendor I tried the phone and take a look at the Settings option. It only says "Dual Core" under processor, but no further explanation about the processor specs. Keke, 15 Aug 2012@ Neil. If you can't afford HTC products you rather go and buy LG,Nokia,Sony,etc. There are... moregood u own so many good cell phones. so suggest me if i should go for dis one! Should i have to go for Galaxy s II or HtC one S? crack-core, 17 Aug 2012Download quadrant standard benchmark app from play store. Open app navigate to system informat... morehi sir in which market htc one s with s4 is available??? Deepak, 07 Aug 2012I have been using the One S international (S4 Processor) version from the last 1 month. It is... morehey deepak i am also from india and i want to know from where u bought htc one s international with s4 processor..please rply n thanks in advance. AnonD-46703, 22 Aug 2012yes it's available in pakistan......isn't its short in Asian market. Sundus, 21 Aug 2012One S with s4 processor is available in Pakistan ??? rarely S4 mostly S3 SoC. One S with s4 processor is available in Pakistan ??? one S & galaxy n, 18 Aug 2012which one is better ONE S or Samsung Galaxy NexusHTC One S is Power Punch in comparison to Galaxy Nexus, HTC One S can knock it down very easily. Anonymous, 16 Aug 2012Pls suggest me if HTC one S is better or sony xperia S?? My budget is around 30K and i wud li... moreOne-S is more better!